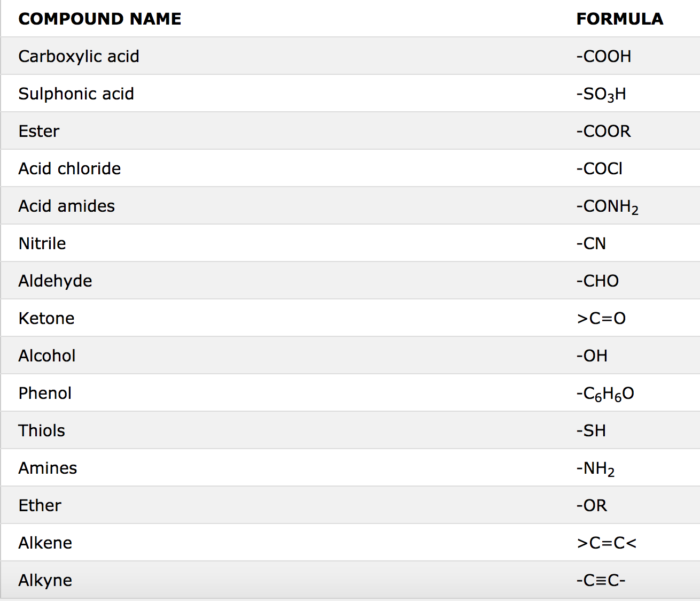 Organic compounds which contain two or more functional group are called polyfunctional compounds. (1) Principal functional group : When an organic compound contains two or more different functional groups, one of the functional is selected as the principal functional group while all other groups are treated as substituents. All the remaining functional groups such as halo, nitroso, nitro , alkoxy , C6H5 are always treated as substituent groups. While writing the names of polyfunctional compounds, the principal functional group is indicated by adding the secondary suffix to the word root while the secondary functional groups are indicated by adding prefixes to the word root. (2) Selecting the principal chain : While selecting the principal chain present in a polyfunctional compound care should should be taken that it must contain the principal functional group and the maximum number of secondary functional groups and multiple bonds, if any. (3) Numbering the principal chain : The principal chain present in a poly functional compound must be numbered in such a way that the principal functional group gets lowest possible number followed by double bond, triple bond and the substituent , i.e. Principal functional group > double bond > triple bond > substituent. 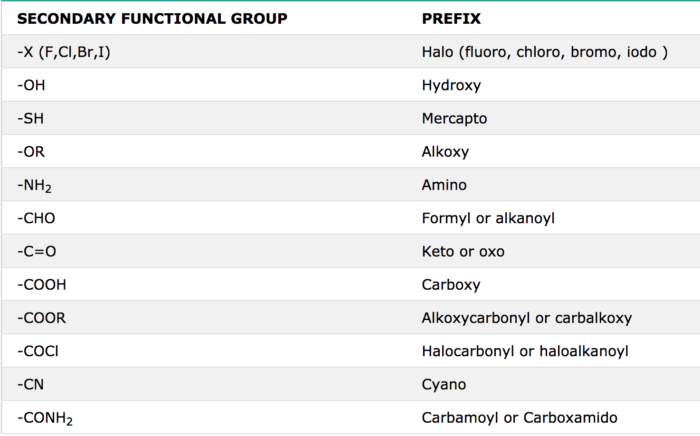 (4) Alphabetical order : The prefixes for the secondary functional group and other substituent should be placed in alphabetical order before the word root as explained earlier.If two groups of the same preference occupy identical positions from either end of the parent chain, the lower number must be given to the group whose prefix comes first in the alphabetical order. (5) If an unbranched carbon chain is directly linked to more than two like functional groups, the organic compound is named as a derivative of the parent alkane which does not include the carbon atoms of the functional groups. (6) If all the three like groups are not directly linked to the unbranched carbon chain, the two like groups are included in the parent chain while the third which forms the side chain is considered as a substituent group.